Service details We stock a large quantity of standard and non-standard load and strain measurement equipment up to 800 tonnes both for tension and compression measuring. The standard load measuring devices achieve accuracies of 1% or better. 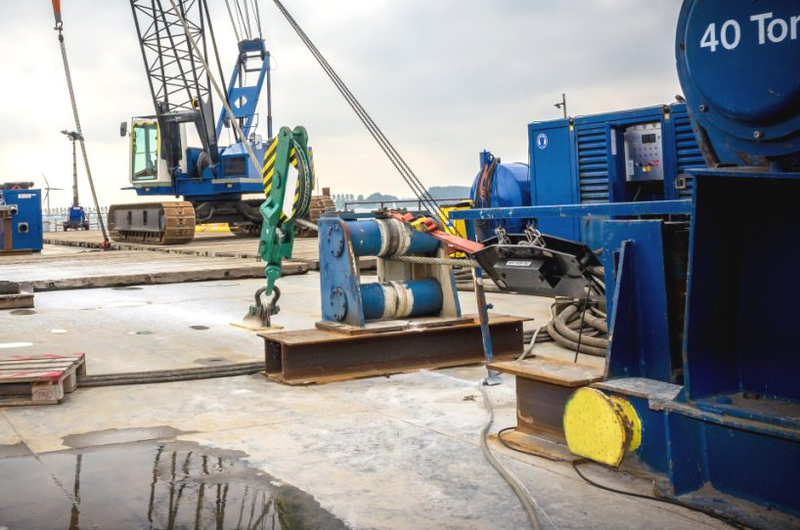 During a project where a high voltage connection was made under a 5km wide inland water in the south of the Netherlands, the pull force of the winch had to be monitored in order to ensure it did not exceed the pull limit of the cable. monitored the winch speed, cable payout and pull force. The pull force data was recorded for review and evaluation once the installation of this impressive length of high voltage cable was completed.